When Hurricane “Matthew” struck Haiti in October 2016, the country’s emergency medical system was overwhelmed. After the storm, most people were left to fend for themselves. What has changed in the year since then? What lessons have been learned and how have news organizations both domestic and international reported on the situation? This reporting project reveals how the emergency medical system in Haiti is developing in the face of short-term crisis and long-term structural challenges. 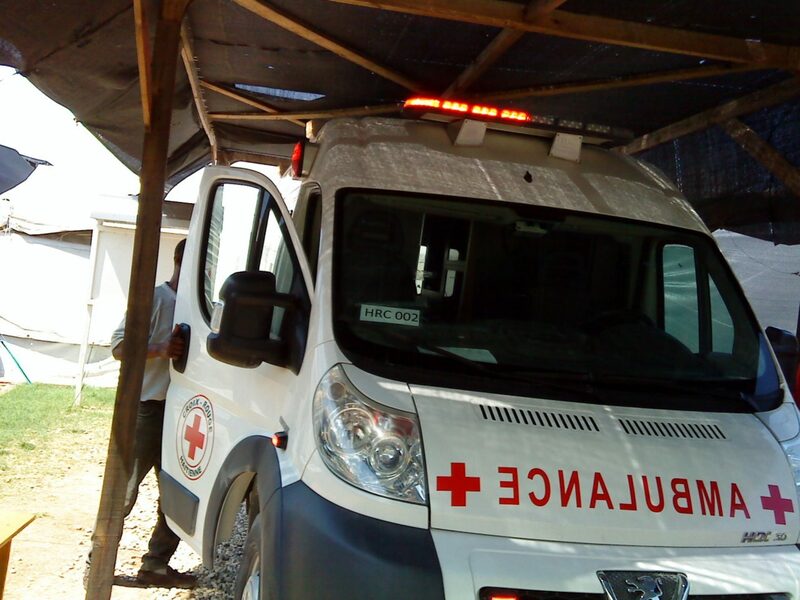 This project also examines how local developments in emergency medicine in Haiti relate to the larger global context, in which Germany occupies a leading role. Shortly after Hurricane “Matthew”, the German government announced it would provide 2.05 Million Euros in bilateral aid to Haiti. This short-term emergency assistance will focus on medical services and water/sanitation projects. Emergency medical care and pre-hospital life support in Haiti is inadequate, even completely unavailable in many remote areas. Why is this the case in a country which trains many medical professionals? While many nurses and doctors leave Haiti for economic reasons, most poor people cannot afford cash-based emergency medical care. Patients in the emergency room often receive treatment based on their ability to pay. Many unnecessary deaths result. Some private sector medical training organizations are specifically addressing this need with emergency medical curricula designed for Haiti. Although Haiti has trained doctors and nurses for decades already, progress in medical education has been inadequate, and was completely interrupted by the 2010 earthquake. A small group of medical educators decided to try a something new. Using teleconferencing and distance learning, they began revitalizing medical curriculum. They also taught emergency medical procedures specifically aimed at rural healthcare teams. Such programs promise tremendous impact, both in life-saving and cost-effective terms. That promise is now being put to the test after Hurricane “Matthew”. The personal and professional journeys of men and women working in emergency medicine in Haiti will show how extreme challenges can be overcome through persistent effort. Presented in short videos and photography, their experiences and reflections will give a unique and country-specific viewpoint to this series of reports. The general public in Germany is increasingly aware of humanitarian crises. Germany’s government currently chairs the “Platform on Disaster Displacement” set up in May 2016 at the World Humanitarian Summit in Istanbul. Some of the world’s largest and most effective medical charity organizations rely on significant donor support from Germany. Most of these groups have been involved in projects in Haiti, often with emergency medical services forming a central part of their activities. German audiences will appreciate their country’s role in tackling a global problem: how to provide better emergency medical services in austere environments. Recent developments in Haiti provide some striking examples – both from everyday life as well as after a major disaster strikes. Interview with grantee Alexis Ward on the website of "Haiti Medical Education Project"